The Flymo Mighti-Mo - the surprisingly powerful battery lawnmower that is capable of cutting approximately one full tennis court in a single charge. Cut the grass in all area of your lawn without being restricted by cables or obstacles with this cordless mower. Both the battery & charger are included in this product. With 5 different cutting heights between 25-65mm, you can vary the length you cut the grass depending on the weather and season in seconds, using the lawnmowers height adjustment lever, conveniently located on the side of the mower. Coming with an easy to remove and empty 30 litre collection box, the mighti-mo has superb grass collection performance allowing you to cut the grass for longer periods without needing to empty the grass box. 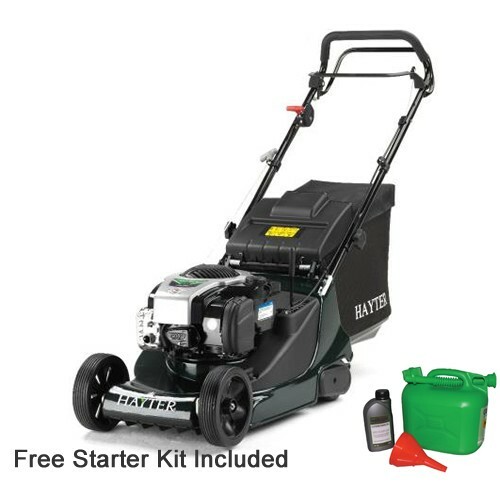 The compact design of this battery lawnmower make it easy to store conveniently in your shed or garage. The handles simply and easily fold down letting it be stored in small spaces. The Roadrunner 535W records in 2K HD definition, providing detailed content which will help you to easily prove your innocence if an accident occurs. Extra wide 140° viewing angle provides an extensive road overview. HDR mode and 12 MP camera. Thanks to this you will never have to worry about the quality of content even if you drive at night or against bright lights. Motion detection to economise the storage, cycling recording guarantees that you will never face the problem of full storage on your device, plus a G-sensor detects and protects the accident file from cyclic / accidental rewriting. The RoadRunner is supplied with windscreen mount and a useful (and longer 3M), dual USB car charger. Charge your DVR with a smartphone or navigator simultaneously. Tempted myself with this one, it's a great price. •Compatible with microSDHC memory cards. •Free updates - Upgrades available via www.nextbase.co.uk. •Up to 0.5 hour battery life. •Cutting Width : 49cm / 20"
https://www.eurocarparts.com/ Save up to 50% on Batteries, Brakes, Oils and Filters. Only a couple of days left. Use Code: PAT75 on the checkout.